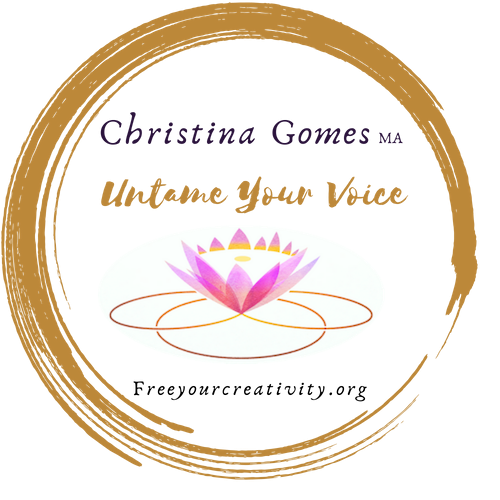 I am a Transformational Creativity Coach, Yoga Educator & Vocalist, specializing in releasing stuck emotions for a more creative, playful life. In other words, I help people all over the world live happy, vibrant, & connected. Happiness for me wasn’t always the case. I was a seeker. I was ever searching for the next relationship, comfort food, or TV show that would bring me just a piece of this happiness thing that people were always chirping about. I smiled a lot, but I wasn’t truly happy. Even after I found my “happy place” on the yoga mat, I began searching the world for answers in the form of Gurus. I like to say, I left the US to find an answer, and woke up to the same sun. The same nagging sensation of needing something more followed me across the whole world! I had never heard it put that way! Through Yoga Philosophy, and Mantra chanting, I began the path to a more balanced state of mind. I began to release the blocks that were limiting me, and I started to feel truly happy, which led to a deeper connection to the people, and the world around me. Whenever I went searching outside of myself, my teachers always pointed me directly back inside. This is true Yoga. When I got curious enough to adventure into the depths of my own psyche and brave enough to light afire that which no longer served me, I came to understand the true meaning of happiness. Once I felt happy, my travels were enriched with so much connection. I began interacting with all the cultures of the world in a more open and authentic way. I saw the world and the beautiful humans in it like a child discovering things for the very first time. In over 30 countries in 4 years, I saw how people helped one another, fed each other and sang together. Something in me moved, I was filled with so much gratitude. I began to find my own truth and sing it out loud. I began creating the life of my dreams full of song, travel, celebration and community. It is my personal project to see the whole world singing and living in their truth. Leela, in sanskrit, means the divine play. Leela is about playing the game of life consciously. My life’s project is to help people understand thier true nature as creative earth creatures. And live with more connection, authenticity, & freedom. Lokah Samastah Sukino Bhavantu – May all beings be happy and free.